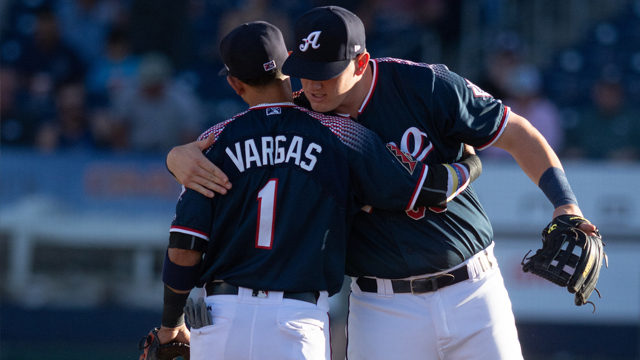 Round Rock, TX - Reno Aces infielders Ildemaro Vargas and Kevin Cron have been named to the All-PCL Team, the Pacific Coast League announced today. Cron, 25, is in his first full Triple-A season. His first game this season came on May 4th, coming off an oblique injury suffered in Spring Training. Since then, Cron has played in 96 games for Greg Gross and the Aces. He's batting .312 (112-for-359) with 25 doubles, 22 home runs, and 91 RBI lead all of Minor League Baseball since May 4 and his 22 home runs are second-most in the PCL. Cron had a career-year in 2017. With the Double-A Jackson Generals, Cron won the Southern League Most Valuable Player Award, was a mid-season and postseason All-Star and was a MiLB.com Organization All-Star. Additionally, the Texas Christian University product is a two-time PCL Player of the Week Award winner this season. The Aces now have had a representative on the All-PCL Team in nine of the club's 10 seasons. Former winners include Christian Walker (2017), Oswaldo Arcia (2017), Kyle Jensen (2016), Peter O'Brien (2015), Jamie Romak (2015), Nick Ahmed (2014), Andy Marte (2014), Jake Elmore (2012), Ryan Wheeler (2012), Adam Eaton (2012), Cody Ransom (2011) and Collin Cowgill (2011). Last season, Christian Walker was named a midseason PCL All-Star and represented the Aces in Tacoma, WA where he also participated in the Triple-A Home Run Derby. 2019 season tickets are NOW ON SALE beginning at just $96! Don't wait to reserve your seats for the Biggest Little Show on Grass. 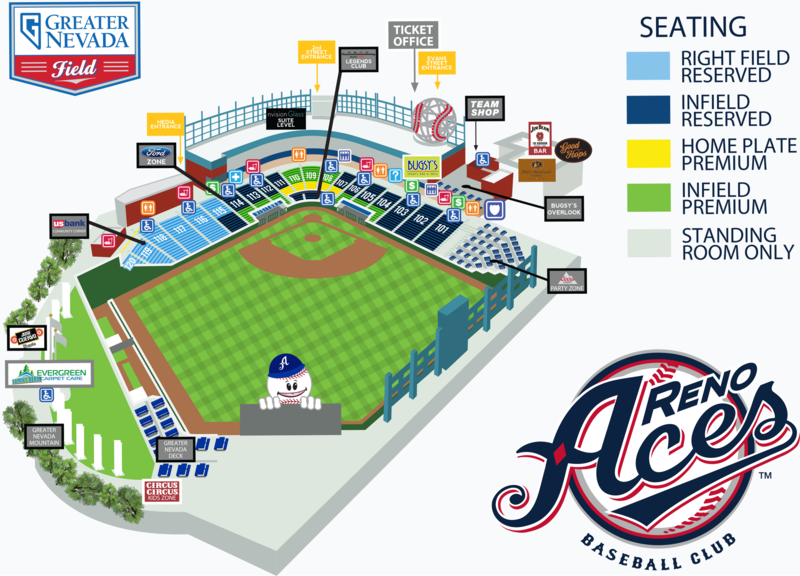 Call (775) 335-4700 for more information or visit renoaces.com. August 31st will kick off Fan Appreciation Weekend at Greater Nevada Field. Friday will have post-game Saint Mary's Fireworks presented by KRNV News 4. Saturday's contest will feature a Didi Gregorius Bobblehead Giveaway and celebrate the Sandlot's 25th Anniversary.